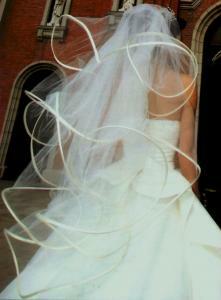 This is a stunning BRAND NEW, NEVER WORN or TRIED ON 4 tiered fingertip length wedding veil. The veil is made of two pieces of tulle folded in half to create the look of 4 layers. 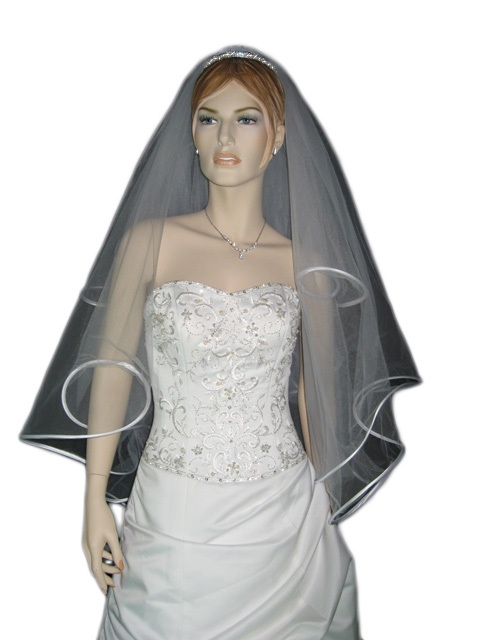 It is different than the regular 4-layer veils that are made of four pieces of tulles. 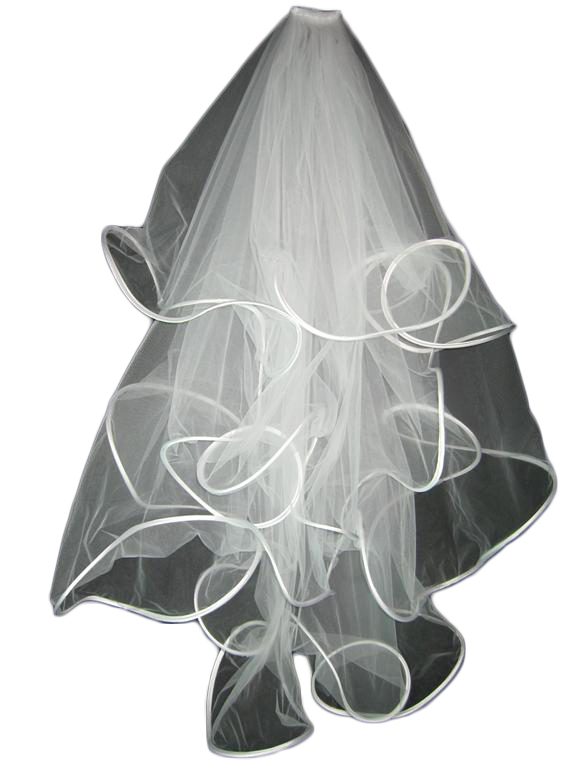 Veil edge has a satin binding finish with flexible plastic inserts. 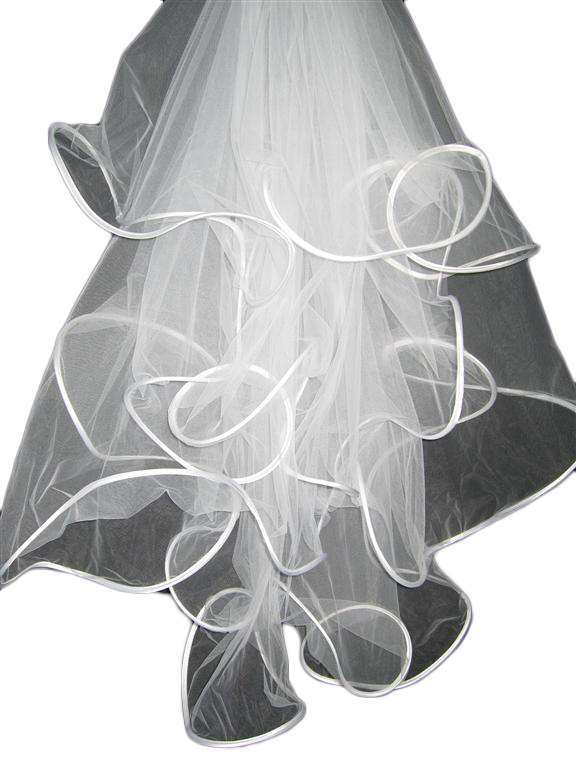 This creates a airy and flying look. 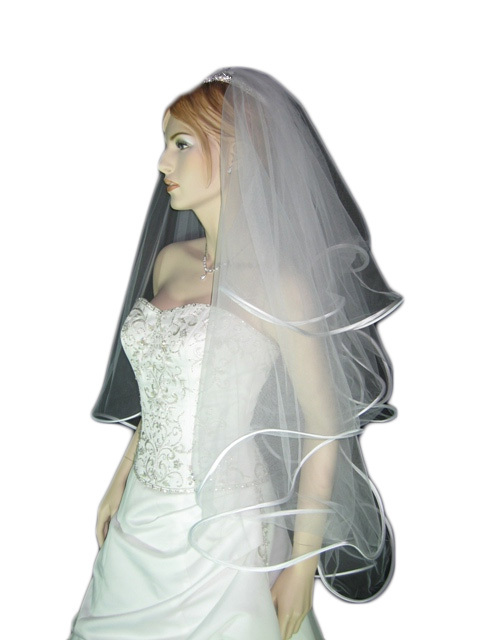 Veil is centered gathered and attached to a clear comb for secure placement on your hair. 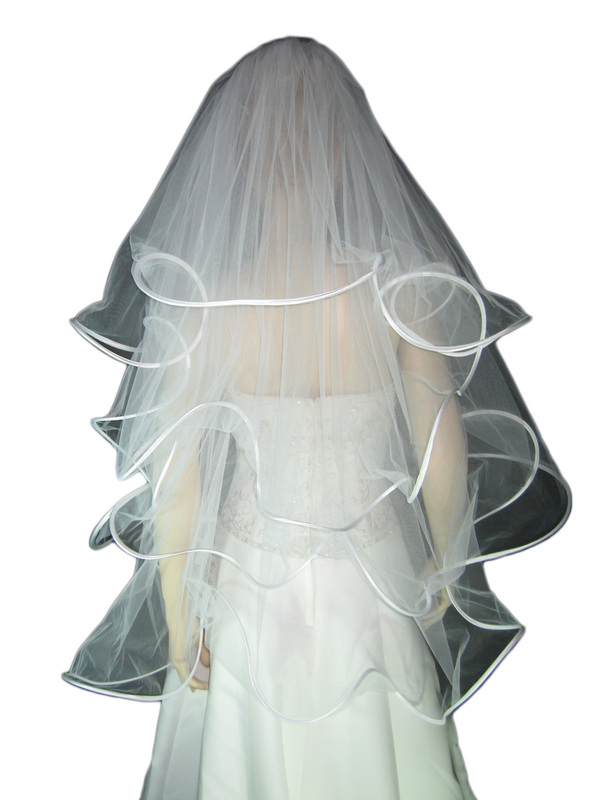 Item for sale on is wedding veil ONLY. Necklace, earrings, tiara/headpiece, wedding dress, etc. are not included.